If you ever that the time to read about successful people one of the major tips they attribute to their success is an ATTITUDE of GRATITUDE. When you find yourself thankful for everything you will end up with anything you want. The universe is setup to reward those that show appreciation, those that are grateful for everything they encounter. Many times our lives are filled with discouragement and general sadness. 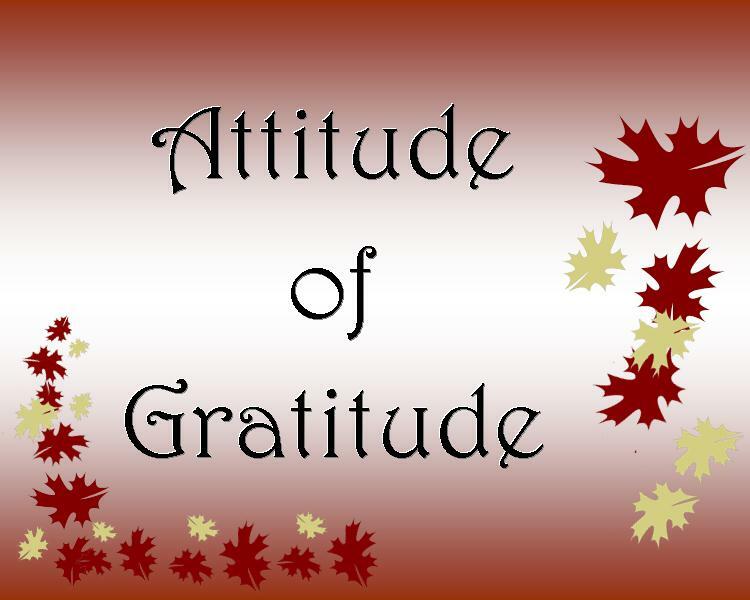 I want you to decide today to have a ATTITUDE of GRATITUDE. When you change what you see your outcome will change. I live everyday with an ATTITUDE of GRATITUDE and hope you will too.